Hydroelectric dam. 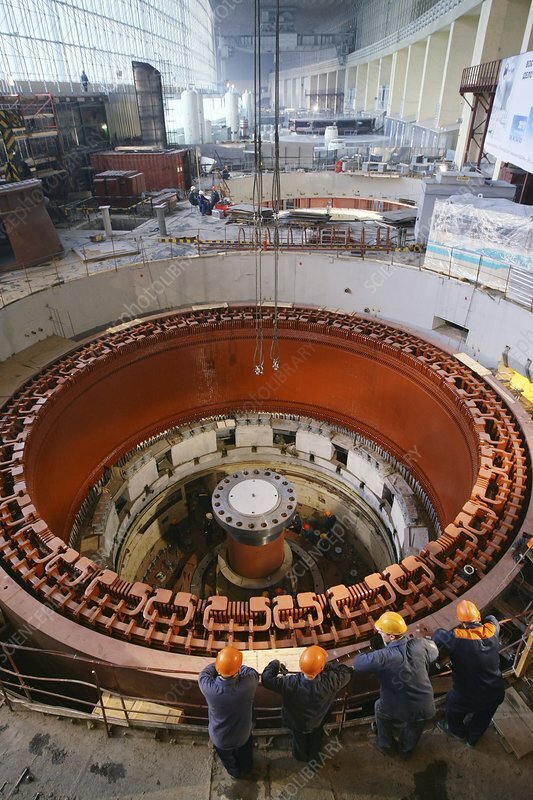 Repairs to the turbine no.1 of the Sayano-Shushenskaya hydroelectric dam. This is the largest power plant in Russia and the sixth largest hydropower plant in the world. It has ten turbines for a total installed capacity of 6400MW (megawatts). In 2009 a major accident occurred at the dam. A turbine became unbalanced and failed, breaching its cover, leading to the flooding of the turbine hall and the explosion of a transformer. This photograph was taken in 2011.